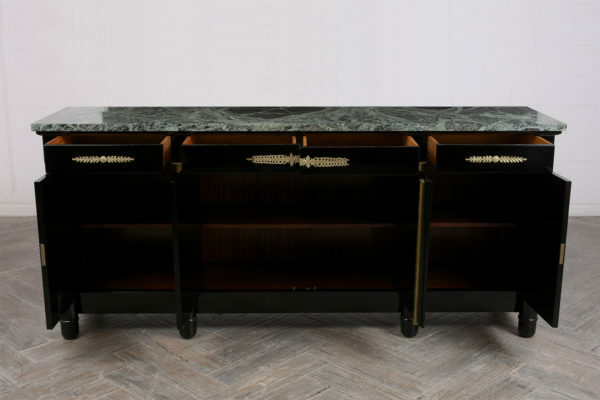 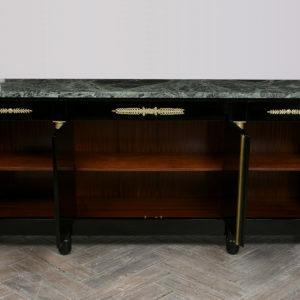 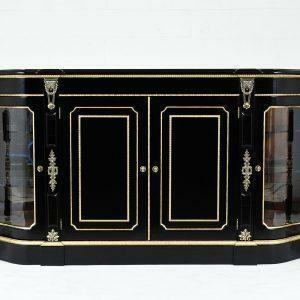 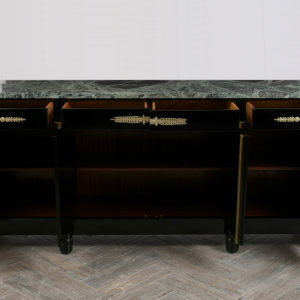 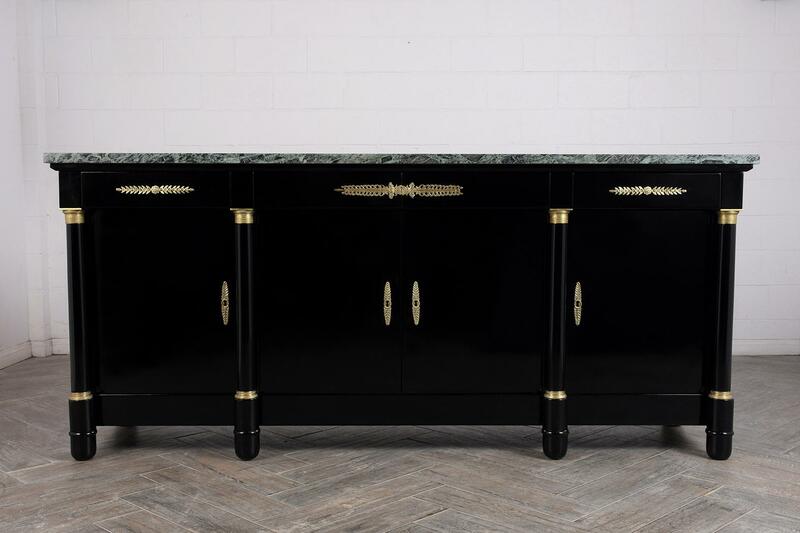 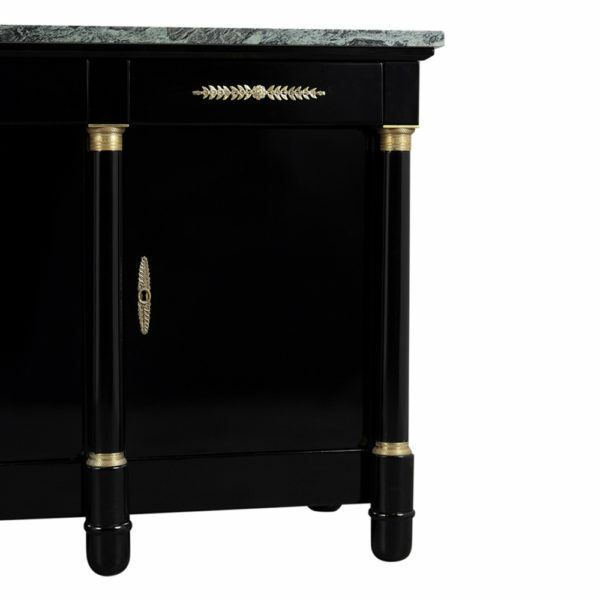 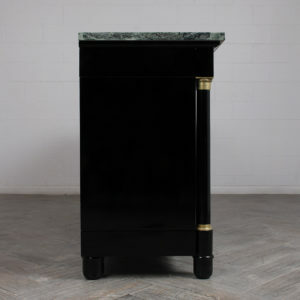 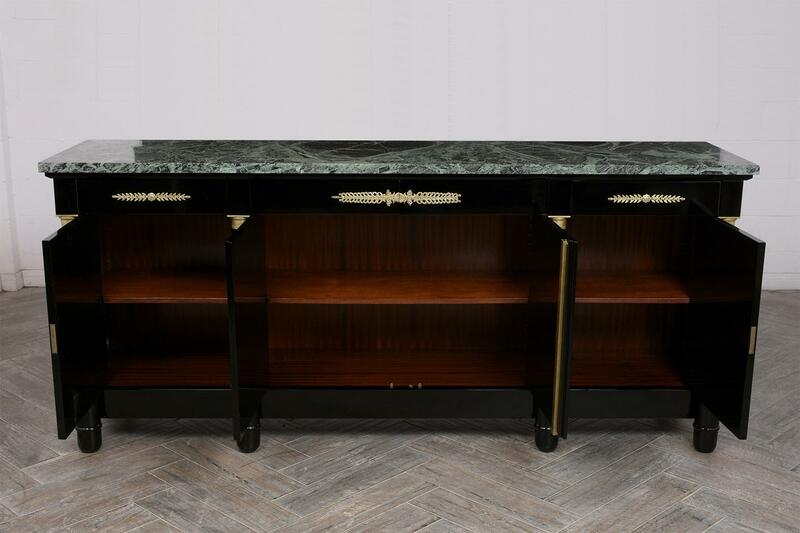 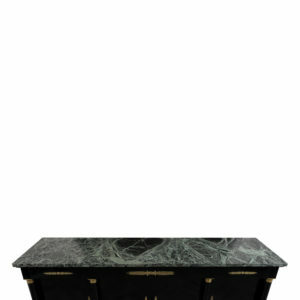 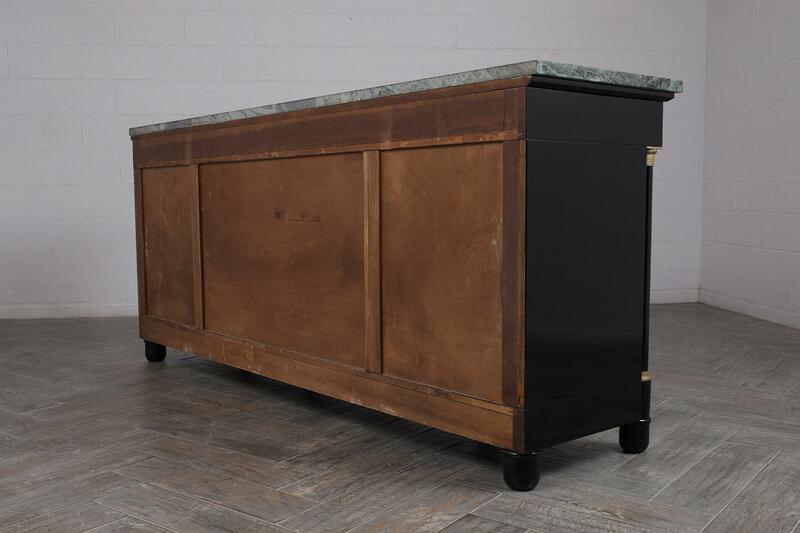 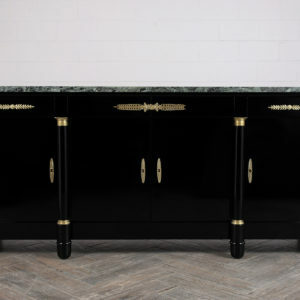 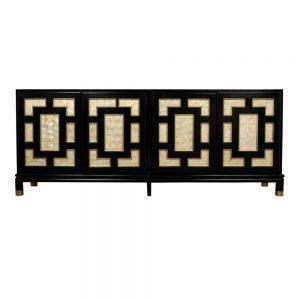 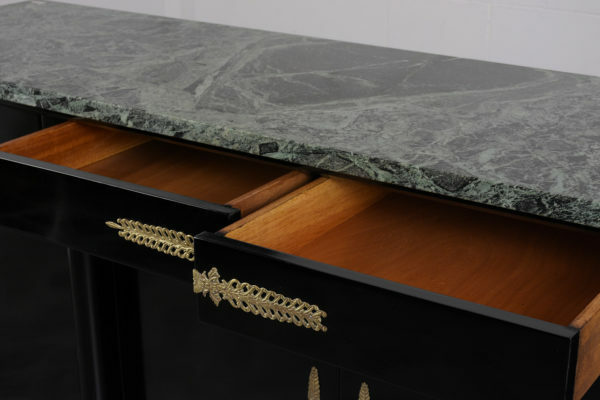 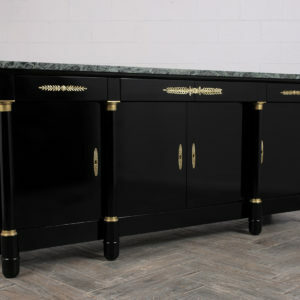 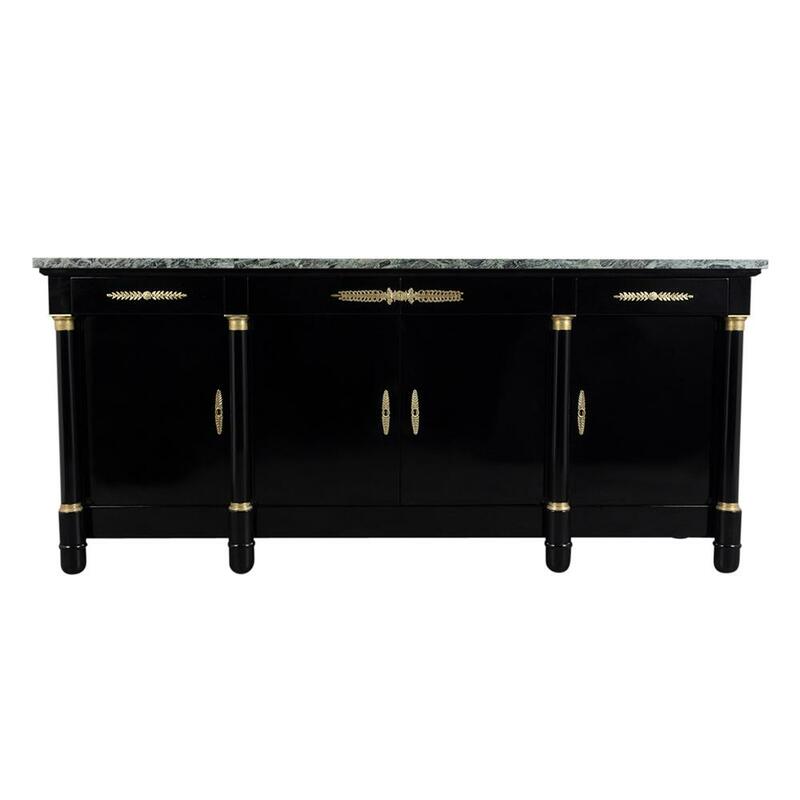 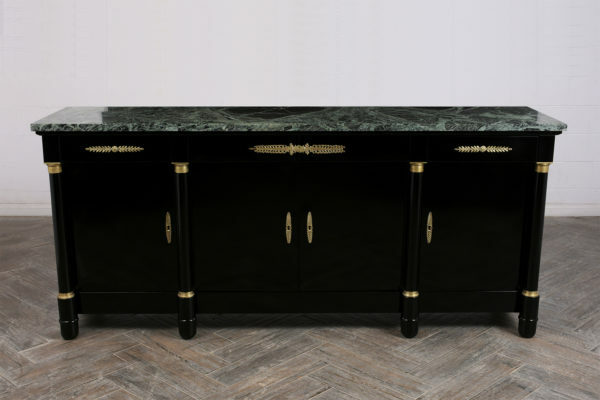 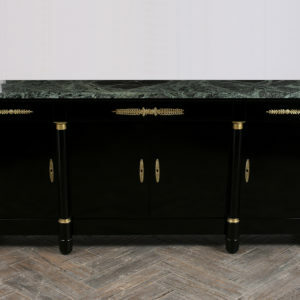 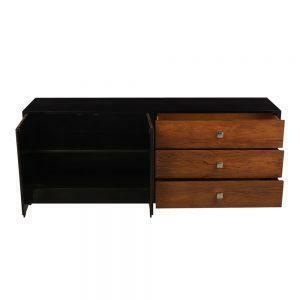 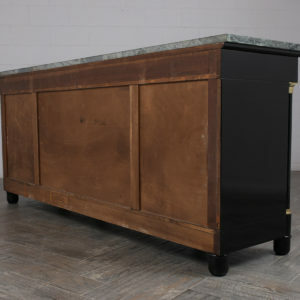 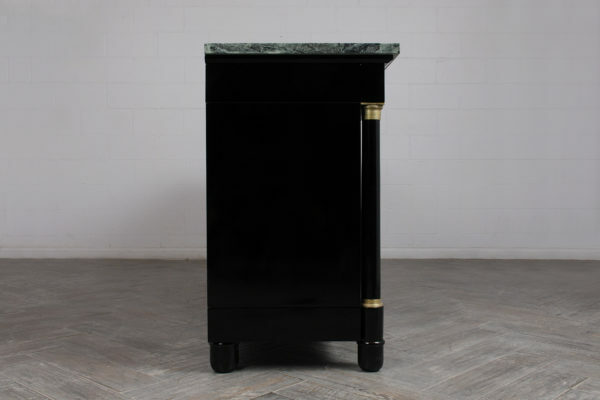 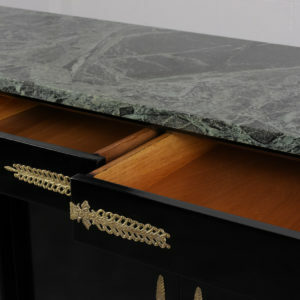 Mahogany credenza Janses Style buffet in an ebonized finish with beautiful dark green and white colored marble. 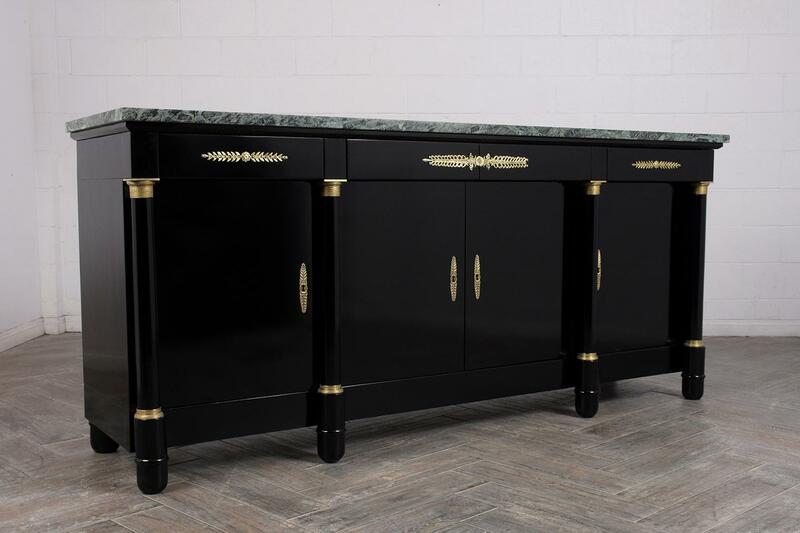 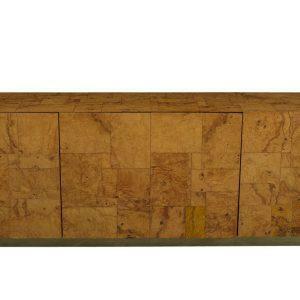 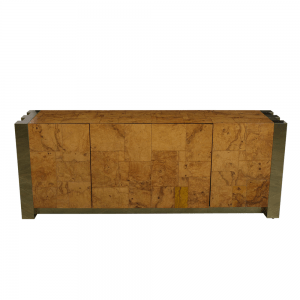 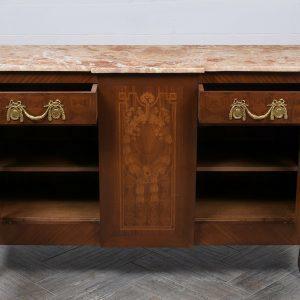 This grand buffet has four top drawers with intricate brass details, four doors with brass keyholes, and three adjustable shelves. 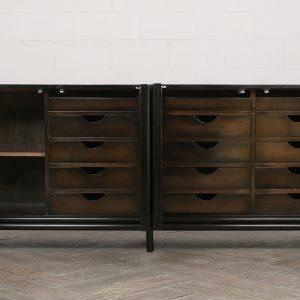 Lock and key in working condition. 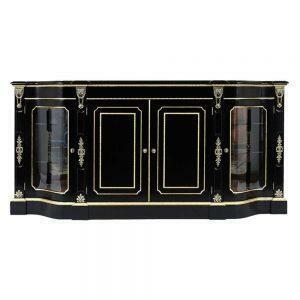 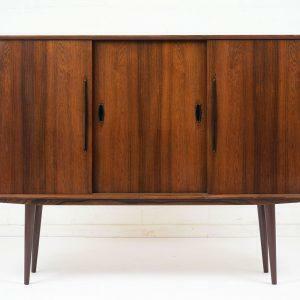 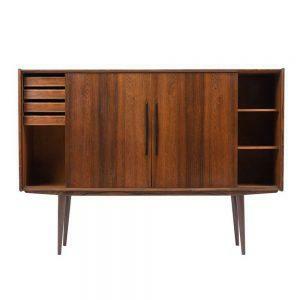 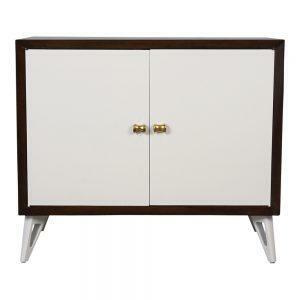 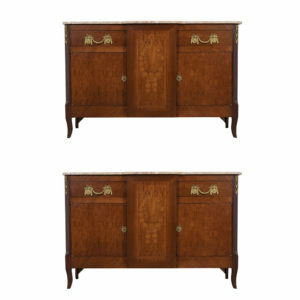 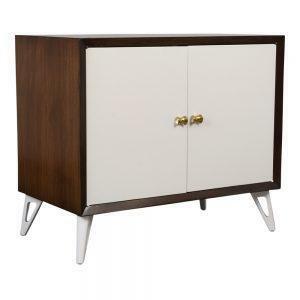 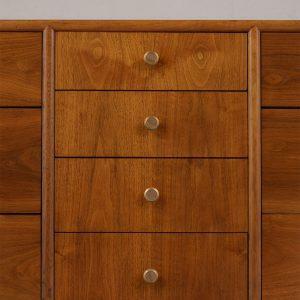 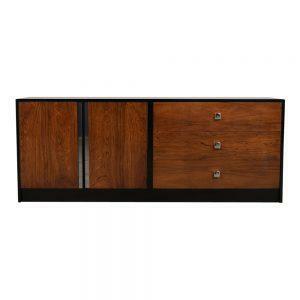 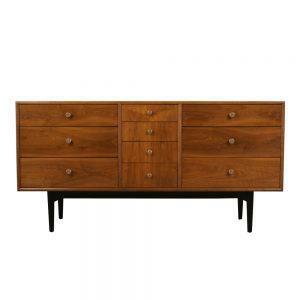 This buffet stands out in any room and is ready to be enjoyed for years to come.